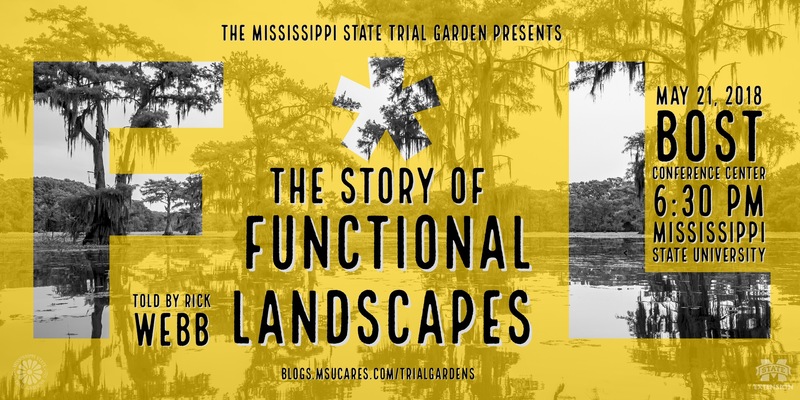 Come hear the Story of Functional Landscapes. Bost Conference Center, Mississippi State University. Rick Webb is the owner, along with his wife Susan, of Louisiana Growers, a wholesale nursery located in Amite, Louisiana. The nursery specializes in trees, shrubs, grasses and wildflowers native to the Gulf Coast and was established in 1988. In addition to residential gardens and arboretum plant sales across the south, native plant material from Louisiana Growers has been used in numerous significant public and commercial projects including the New Orleans Botanical Garden, the native plant demonstration garden at LSU’s Burden Center, the Make It Right Foundation’s LEED certified landscapes in New Orleans’ Ninth Ward, ExxonMobil’s green space enhancement project in Baton Rouge, New Orleans City Park bioswale, the Joan Mitchell Center landscape project, Groundwork New Orleans Oretha Castle Haley raingardens, and many others.